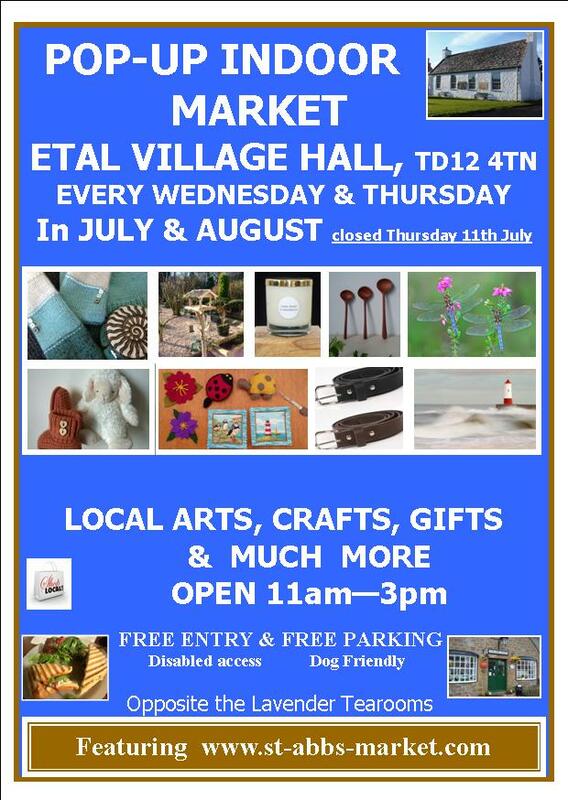 St Abbs Market - What's on? If you Click on each date that has a coloured dot on our Calendar of events, there is a drop down menu of information which includes a map of the venue . N.B. Each market is slightly different as we have our regulars and guest traders. For more on market days, follow us @marketatStAbbs, click on the Facebook f symbol at the top right of this page, next to envelope. FOR A FULL LIST OF DATES PLEASE CLICK ON THE CALENDAR. Local arts, crafts, gifts, produce and much more every Friday. The Old School Cafe is open with a great menu selection on all day. De Stash at the Ebba Centre from 10am – 3pm see poster on our Facebook page for more details. Other events listed above, or venues, that are not organised by us charge an entry fee, please check their own terms and conditions. There are lots of great ideas of things to see & do, in the Scottish Borders & North Northumberland during the school holidays, see useful links at the end of this post. Please scroll down for more details, or click on the menu page for each named venue.